Discussions of re-authorization of the higher education act are raising questions about how we measure and showcase the value that colleges and universities provide to students and the broader community. Within this context of a “college dashboard,” competency-based assessment, and greater accountability requirements for federal student aid, what role can and should outcomes-based program review play in improving student success? This webinar explores how outcomes-based assessment program review data can be used to inform discussions in this emerging accountability environment — all with the goal of improving holistic student learning and development. Dr. Bresciani also illustrates ways to address several key challenges institutions currently have with outcomes-based program review and encourage reflection to further enhance student success. 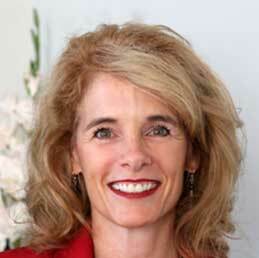 Marilee Bresciani Ludvik, Ph.D. serves as a Professor of Postsecondary Educational Leadership at San Diego State University, where she coordinates the certificate in institutional research, planning, and assessment, and the masters in postsecondary educational leadership. Marilee’s research focuses on outcomes-based assessment program review effectiveness and the role of intuition in evidence-based decision making. Marilee’s most recent research focuses on the use of mindfulness-based training strategies in workshops and the classroom and how participants in these techniques decrease their stress and anxiety and increase their attention, emotion, and cognitive regulation as well as identifying enhanced critical thinking, compassion, and creativity.